Right on my birthday in December I received an email that I’d almost overlook, if it wouldn’t mention natural remedies and different skin conditions like psoriasis and eczema. When I came to live in a big city with lots of pollution I started to notice some unpleasant skin conditions like eczema and mild psoriasis on my scalp and forehead that didn’t stop although taking care on different levels like healthy eating, drinking water, thorough skin care,…So you might understand that the email caught my attention. I gave a look at the website and decided to keep the contact and get more information about the brand. These 2 products really helped to change my scalp condition! I had problems with dry and flakey skin on my scalp in the front part of the head, that started to expand even on my forehead. On the forehead it sometimes turned into red, thankfully without itching. But as you can imagine, it didn’t look pleasant and I couldn’t wear any foundation on the forehead neither because it looked bad and I wanted my skin to repair. 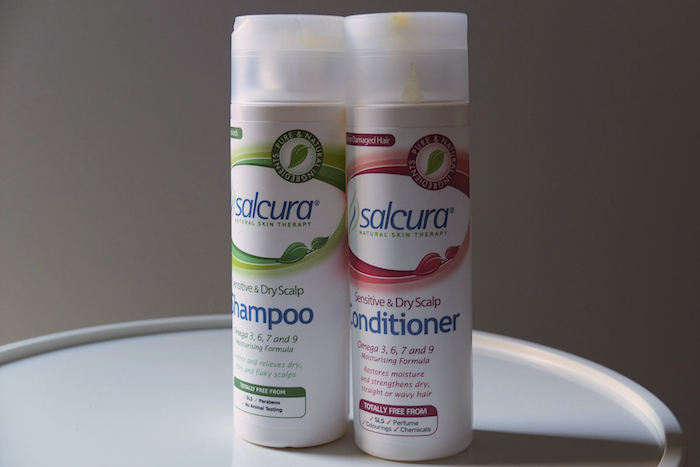 When I tried these 2 hair products for the first time they gave a real relief to my scalp. 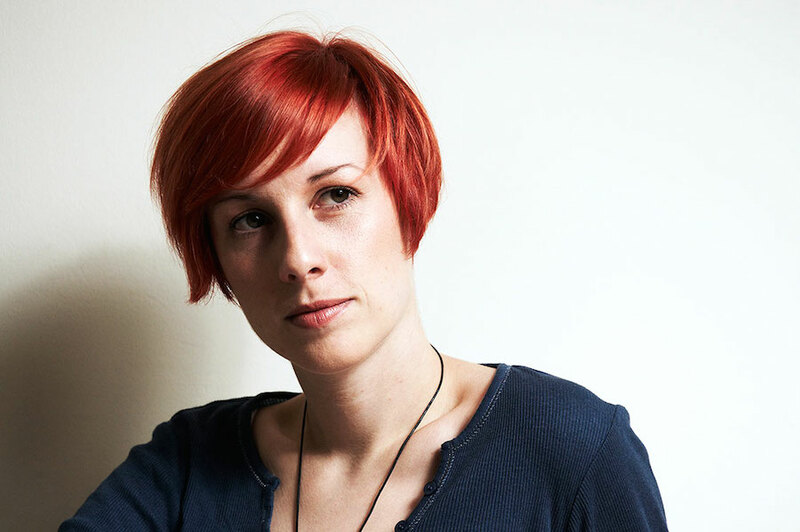 Usually, although using other organic shampoos, my scalp was dry and red after washing the hair. After using the shampoo and the conditioner I immediately saw the difference, at least my skin didn’t turn red and was less flakey. Not to mention that the conditioner is awesome, you can comb the hair so easy after! Regarding ingredients, it does not contain any SLS, parabens, perfumes, colourings. It has a delicate scent; a mix of herbal extracts and natural oils. It has a dense, yellow texture, almost oily. What I like is that both shampoo and conditioner contain Sea Buckthorn berries and Starflower essential oil. The first contains Omega’s 3, 6, 7 & 9 and the second, called also Borage oil is rich in the fatty acid Gamma Linolenic Acid (GLA). Argan Oil is added to moisturise and protect. These ingredients, in partnership with other natural vitamins, minerals and oils are specially blended to promote skin cell tissue regeneration and moisturisation. Since at that time my skin was becoming very flakey and irritated even on the forehead, I decided to give a try to this 2 step treatment in form of cream. They really helped me a lot to reduce the flakey skin condition and calm the redness. especially important for me was that I can put something light in texture that wouldn’t be harsh. There are 2 steps with this treatment; the first is called DermaSerum and it is a light serum texture that is applied as a first step. I find it very useful to apply on scalp too. There the effect was evident immediately. This serum has a light scent, where I mostly note tea tree and eucalyptus scent. It feels refreshing and somehow disinfective too. It contains mainly vegetable oils from: Sunflower, Safflower, Grape Vine, Sea Buckthorn, Eucalyptus, Tea Tree, Orange, Lavender, Olive, Almond Camphor Tree Leaf Oil, Rosemary and Peppermint Oil along with aloe vera. The second step is the Zeoderm moisturizer that I needed for additional moisturising. This cream that comes in a 50ml tube, has a denser and more rich texture and it really helps the skin to renew itself. I found it great combined with the serum, that goes applied before the cream. These 2 steps help the skin to renew itself quicker. This cream contains a special ingredient Natural zeolite which forms where volcanic rocks and ash layers react with alkaline groundwater and is used to bind and eliminate skin toxins. It’s extremely beneficial for damaged; dry, inflamed and irritated skin cells and connective tissue. I applied the cream a few times per day in the beginning and less and less later. Of course the skin needs its time to renew and so the results are visible gradually, but effectively. I still have both creams and if needed I’ll apply them on the skin if it’d react, but I don’t see the need to do it now since the skin condition has improved in 2 moths now. I have used it in December and January. 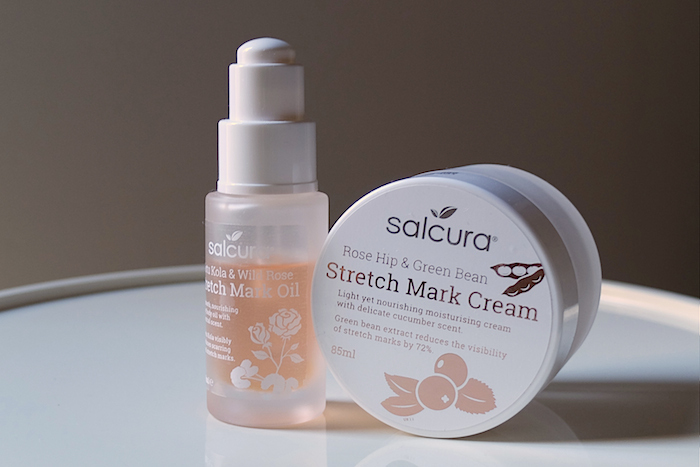 Although I don’t have any stretch marks, they were very kind to send me also these 2 products; Salcura Gotu Kola & Wild Rose Stretch Mark Oil and Salcura Rose hip & Green bean Stretch mark cream. I like very much the consistency of both products; very light in texture and with almost no scent. The body oil is dry and it absorbs incredibly quick while massaging it into the skin. After I use the cream which is very light too there is at first some white texture but then it soon disappears with massaging it. 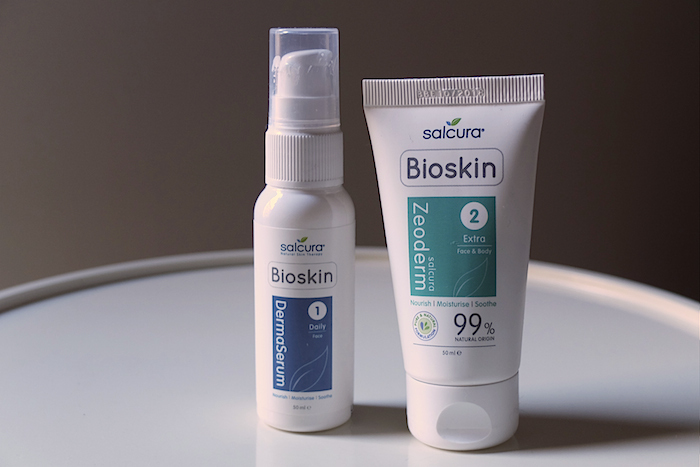 Salcura claims the hero ingredients in the oil are Elestan (Manilkara Multinervis Leaf Extract) which helps to reduce the visibility of stretch marks, Wild Rose that quenches dry skin and Gotu Kola improves wound healing. I cannot give a full opinion here, because I don’t have stretch marks, but I found those 2 products pleasant and very tonifying on the skin. Since I have sensitive skin and dry skin and had to look at their website. Unfortunatly I was a bit disappointed. It was har to navigate on the site and the ingredients lists I did find didn’t make me happy. I have a hard time understanding why a company labels something for sensitive skin and then add a lot off essential oils? I have even more an issue with the company statetment; Salcura always avoid ingredients that are widely accepted to be unsuitable for sensitive or problem skin. With this I absolutely think that you should keep using it if you like it. Just have to comment on what the company wrote on their site. Hi Malin! I completely understand your point of view and your concerns. But regarding essential oils being an allergen, I personally don’t agree so much. Yes, they have banned them as a POTENTIAL allergen. Natural Essential oils have many healing properties and I also think that here must be some other things behind this story, why they have named them allergens. Unfortunately, when we don’t rely on our feelings and common sense, we are in fear and we avoid many things. With time I came to see that not everything is so rational. While it’s ok to look for natural things, but when we are afraid, in avoiding, then it’s not a good state of mind to be in. I also have a very sensitive skin that reacts with redness but have never found essential oils a problem. I believe in the old knowledges of aromatherapy (those well done, with true knowledge such as from pioneers of natural cosmetics), that was never harmful to the skin. In contrary people used it to heal since ancient times. I always hear my common sense and use a product if it feels good to me. Because I found that with all the growing panic around everything, people start to believe in everything they hear, without listening to the body. I can tell you from my own experience, having hard allergies that are now cured (not with outside products), and I’m completely free, that outside things, whatever they are, are just a trigger (and this trigger can be literally everything and so the list with potential allergens will go on and on). The cause is always inside, but people of course avoid looking on the inside and hardly accept the understanding that diseases come always from inside. Outside triggers are just the top of the iceberg and avoiding, sometimes almost everything, is not the key neither. But it will take time for the majority to start understand this. Until you have a really bad experience you cannot get to this understanding. And that’s ok, everyone has its own path. For instance, even with this minor skin issue that I had now, I knew I needed to resolve it from inside out. The creams were just additional help. Maybe I will start once to write about that topic too, but I also understand that most people are not prepared to solve their inner issues. Always nice to share experiences! I do have problem with essential oils as you probably understand, but it seems to be when they have a high concentreate and not all of them. I have also problem with syntetic perfume. I don’t say to much about it because, like you said, everyone is diffrent. I just get a problem when a company states that they do avoid ALL potential allergens and they really can’t because you can be allergic to anything.